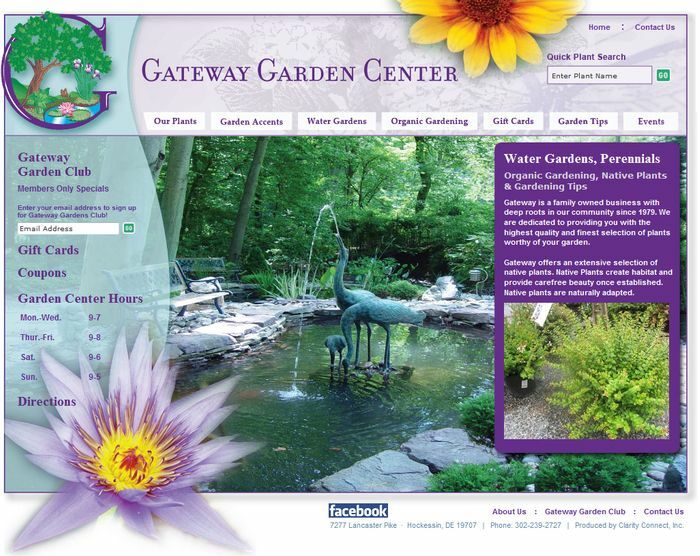 Gateway is a family owned garden center since 1979. Gateway offers an extensive selection of native plants, water garden plants and accessories and a full line of organic plants. Gateway had a website they could not update, so they had Clarity Connect redesign their site and implement the Clarity Console™ content management tools so they can easily update their site. 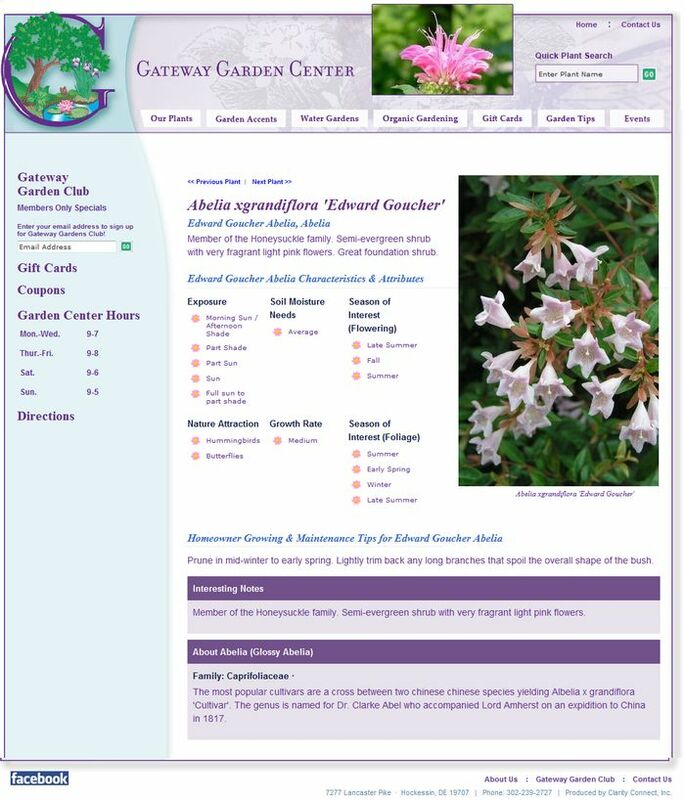 They use our Plant Database Manager to update the plants they sell and Online Coupon Editor and the Page Generator Editor to update the majority of their other text on their site.